﻿ AttributeMagic Standard - Screen shots. 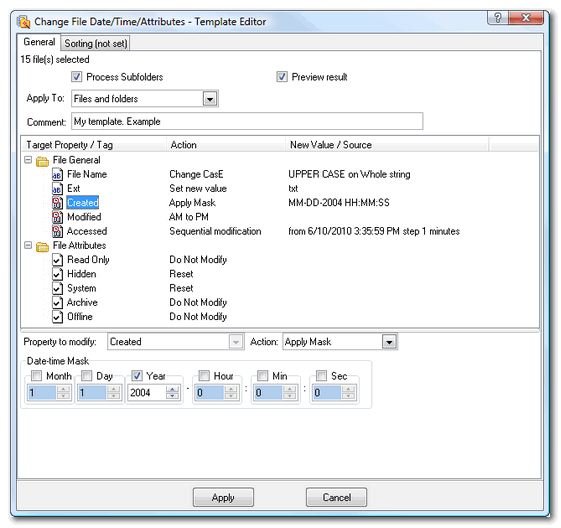 Utility to change file date-time. To change file date and attributes you may open folder (or use drag&drop) and select files in the file pane. Then you may use Quick modify panel or Template to specify an action. 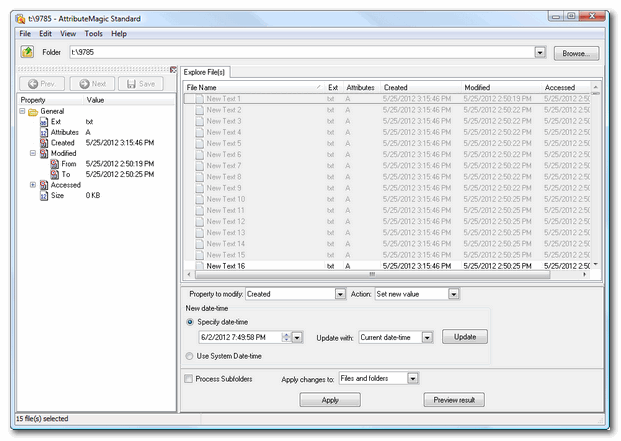 File properties inspector is located at the left panel. Quick modify panel located below the list of files. You can change all three file date stamps: Created, Modified, Accessed, and change file attributes with few mouse clicks, apply date/time mask, shift date/time and save your settings as template.